Last week I was at the cinema with my friend. The movie we watched was entitled ,,The Hunger Games’’. It’s a science – fiction film directed by Gary Ross. The action takes place in an unspecified, close future in a country. The country is divide into a Capitol and 12 districts in which live poor people. Every year there is The Hunger Games and from every district 2 young women and men (together 24 people) are chosen and they fight to be alive. Before, they are prepared, because some people give them advice, but just one person can win. The people are in a jungle until 23 people die. Taylor Swift sang soundtracks to the movie. It were ‘’Safe and Sound’’ and ‘’Eyes Wide Open’’. I don’t like these songs, cause it’s not the kind of music I listen to. The main character is Katniss Everdeen who comes from the 12th district. Jennifer Lawrence plays this role. I like her acting. It’s really convincing and plausible. Also Suzanne Collins wrote a book ,,The Hunger Games’’ in 2008. It’s a science – fiction and teenager book. The second volume ,,Catching Fire’’ emerged in 2009. The movie is fascinating and thrilling. If you are curious who will survive you have to go to the cinema and watch that as soon as possible. 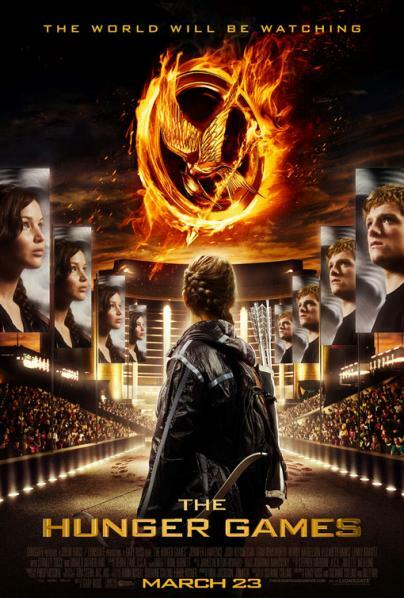 As a whole ,,The Hunger Games” is worth seeing in my opinion. « Carnage – a review.